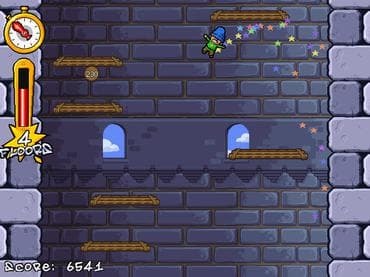 Icy Tower is a fun and short, yet addictive game where your only goal is to gain as much score as possible. Harold the Homeboy and his friends have decided to climb a huge tower they found the other day. It's up to you to help them get as high as possible without falling down, and collect extra points by doing cool moves on the way. Download free game today and gain as much score as possible. Free Game features: - Addictive gameplay - you'll come back for more! ; - Custom characters - play as anyone; - Custom game modes - experiment; - Truckloads of combos - get more points. Если у Вас есть вопросы, связанные с игрой Icy Tower пожалуйста используйте эту форму для связи с нами.